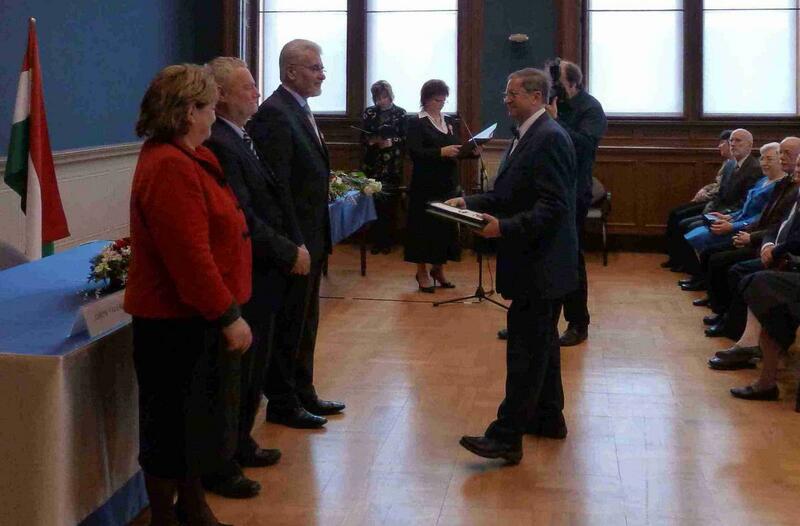 On the occasion of the Hungarian National Day on 15 March, Pál Schmitt, the President of Hungary has awarded the Officer's Cross of the Order of Merit of the Hungarian Republic to Zsolt Kajcsos, scientific advisor of RMKI, the doctor of physical sciences. The Award has been given to honour the researcher for his high-level work in his profession – for the development and novel applications of nonconventional nuclear methods- and in science diplomacy for strengthening bilateral and multilateral contacts most of all in scientific committees of the European Union. Zsolt Kajcsos received the decoration on the 16th March 2011 from József Pálinkás, President of the Hungarian Academy of Sciences. “I think that establishing good international relations and strenghtening collaborations in science are extremely important” – said Kajcsos who is trying to serve with his work not only his own research area, butthe whole Hungarian researcher community.